A wonderful night's sleep. 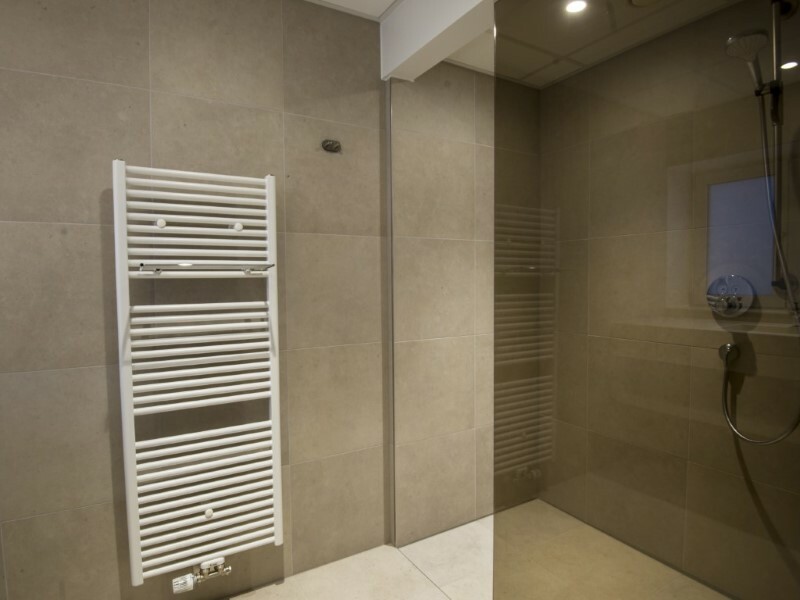 Wake up carefree with the sound of the sea in your own apartment! It’s so nice to slide your feet under the table for a good breakfast, and afterwards take a refreshing dive in the pool. Life is beautiful! 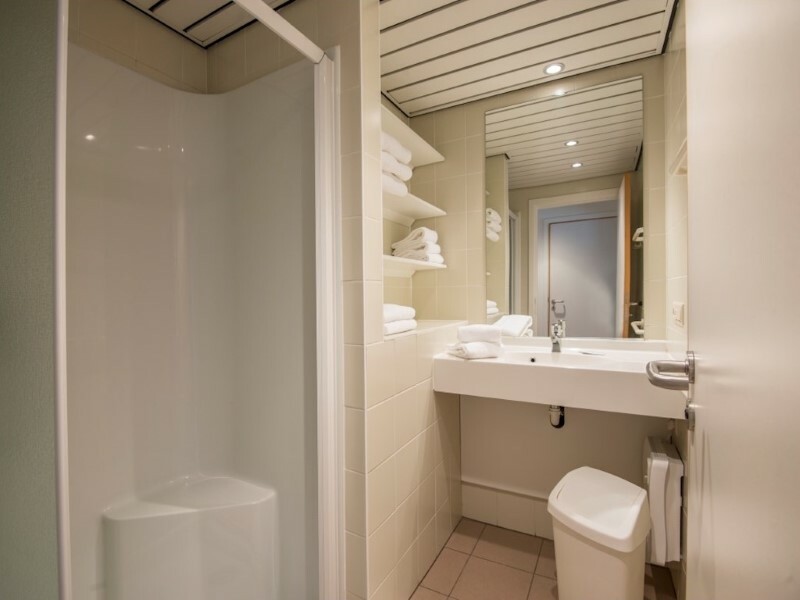 Our brand new, spacious twin rooms have a nice balcony and a separate bathroom with a shower or a bath tub. 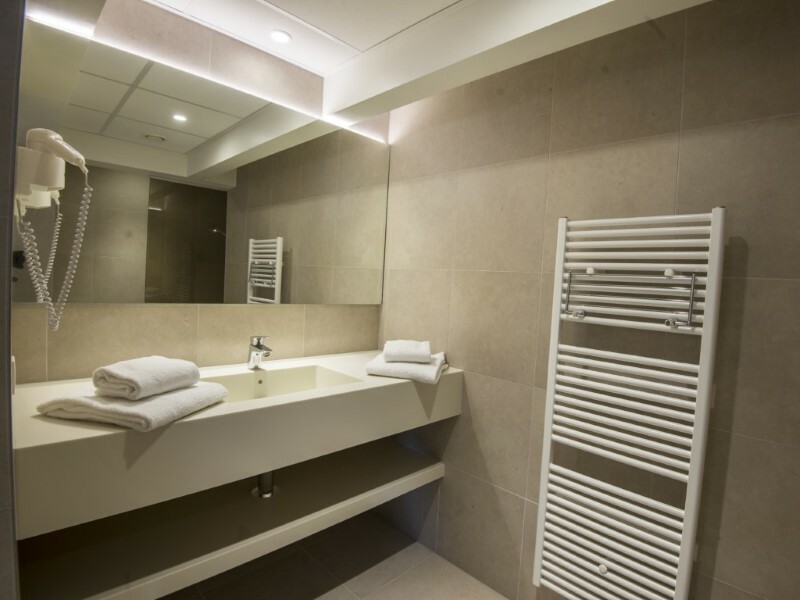 In the bath room a set of towels will be waiting for you. 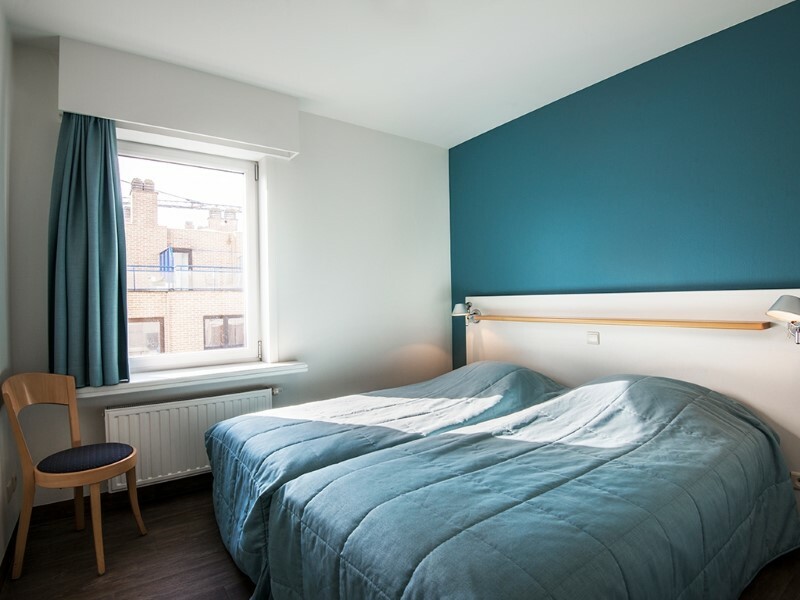 At night you will sleep tightly in the super comfortable bed which will be made for you every day. All there is left for you to do is to enjoy with abandon. And to sample the extensive breakfast buffet which is included in the price. 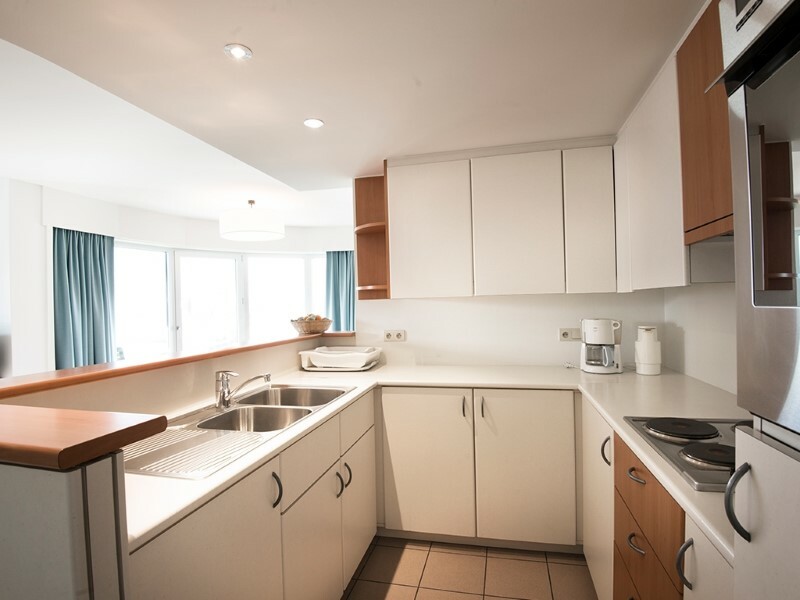 The studios with kitchenette are a budget friendly option for guests who occasionally like to cook their own meals. The cosy seating area has a flatscreen TV and a two-seater settee. 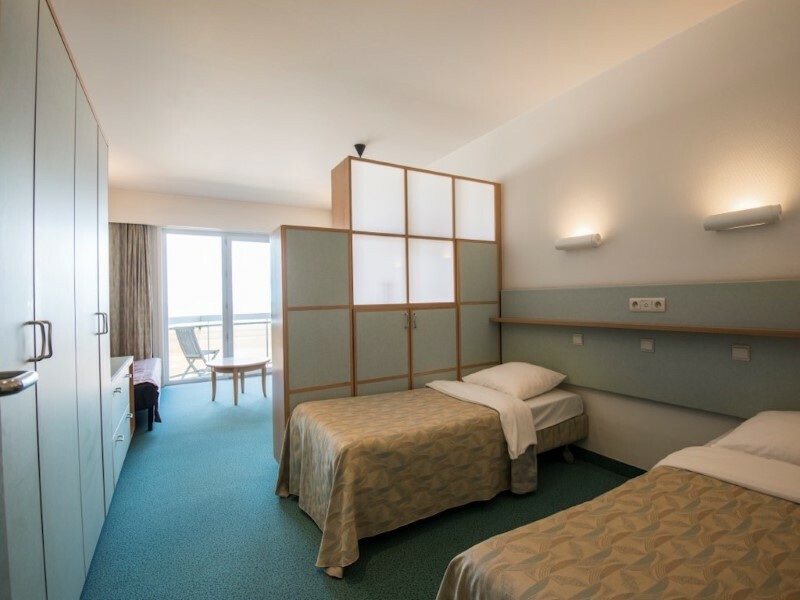 In the sleeping area, which is separated from the seating area by a wall cupboard, there are two separate comfortable beds with duvets, pillows and a set of sheets. 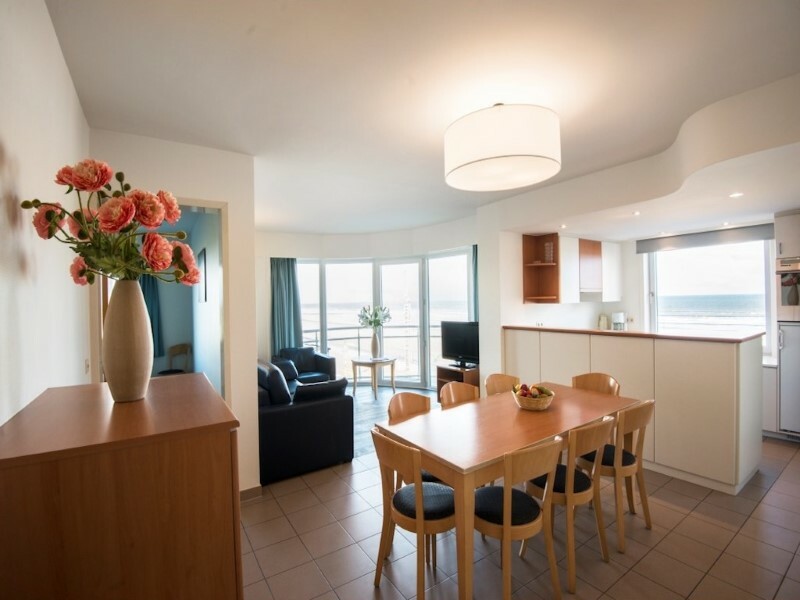 Our apartments have everything to make you feel at home at the seaside: a living room with flatscreen TV, a practical kitchen with an oven, hobs, coffee machine and fridge and a separate bath room with a shower or a bath tub. 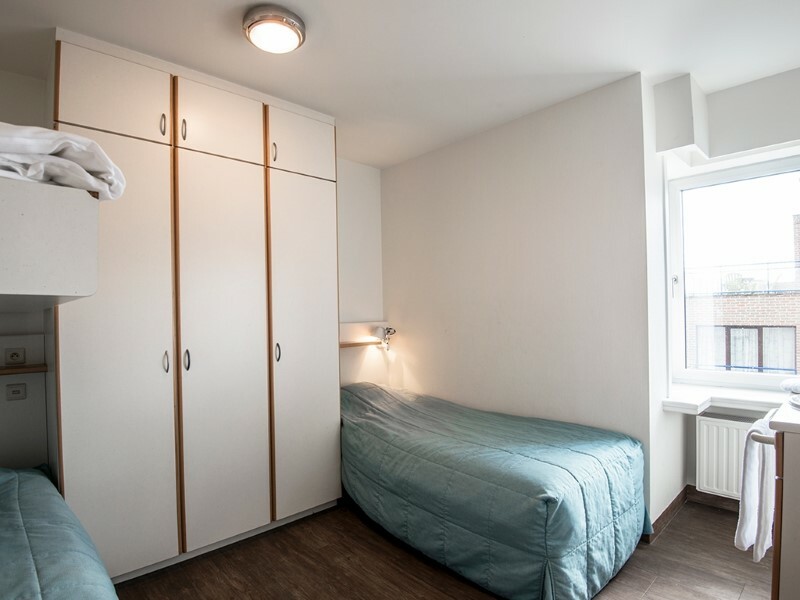 Our apartments have one bedroom with 2 comfortable beds. The foldaway bed or sofa bed gives you additional sleeping space. 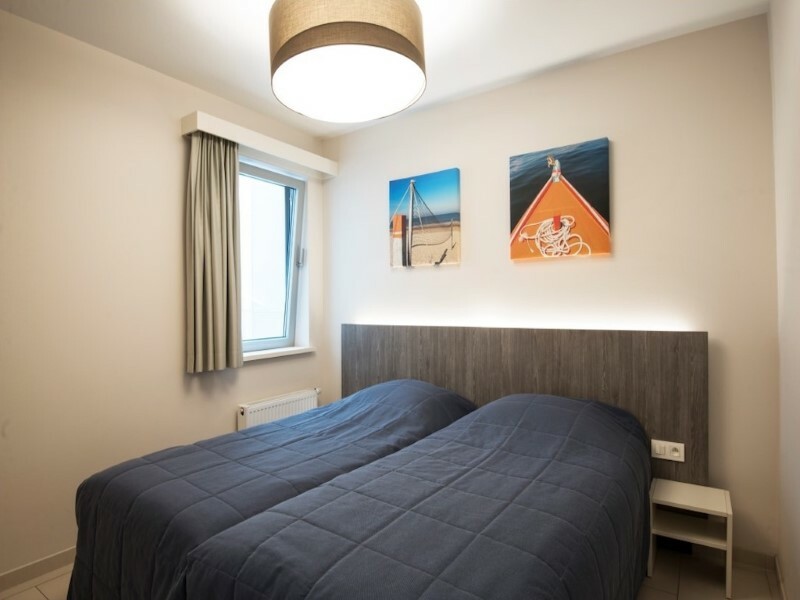 Our apartments have everything to make you feel at home at the seaside: a living room with flatscreen TV, a practical kitchen with an oven, hobs, coffee machine and fridge and a separate bath room with a shower or a bath tub. 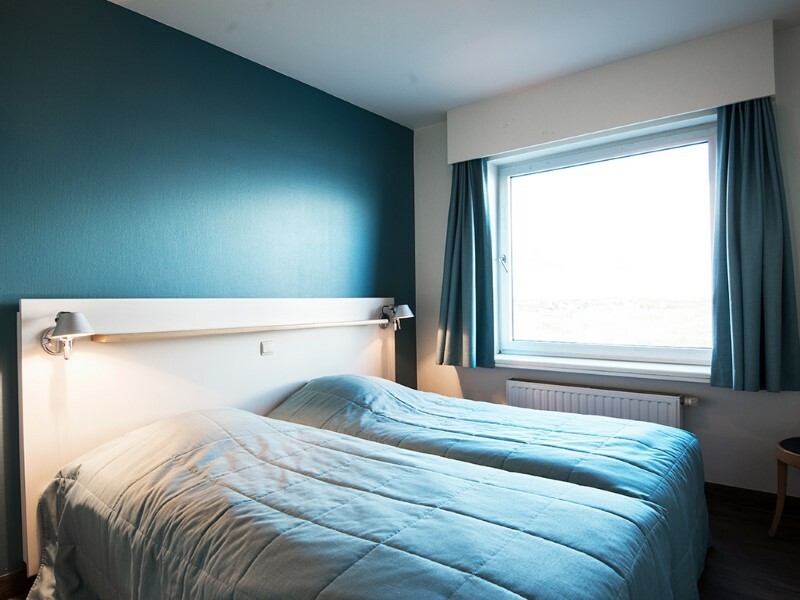 Our apartments have one bedroom with two comfortable beds. The foldaway bed or sofa bed gives you additional sleeping space. 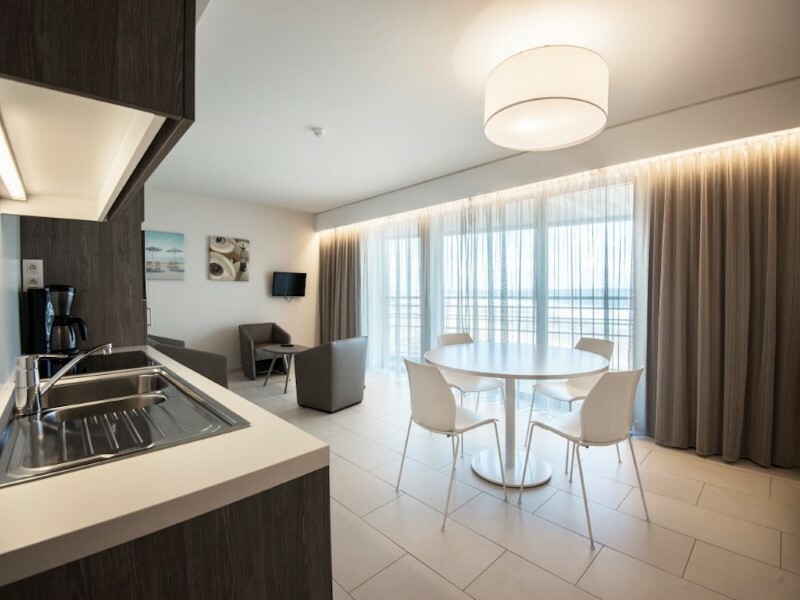 Our apartments have everything to make you feel at home at the seaside: a living room with flatscreen TV, a practical kitchen with an oven, hobs, coffee machine and fridge and a separate bath room with a shower or a bath tub. 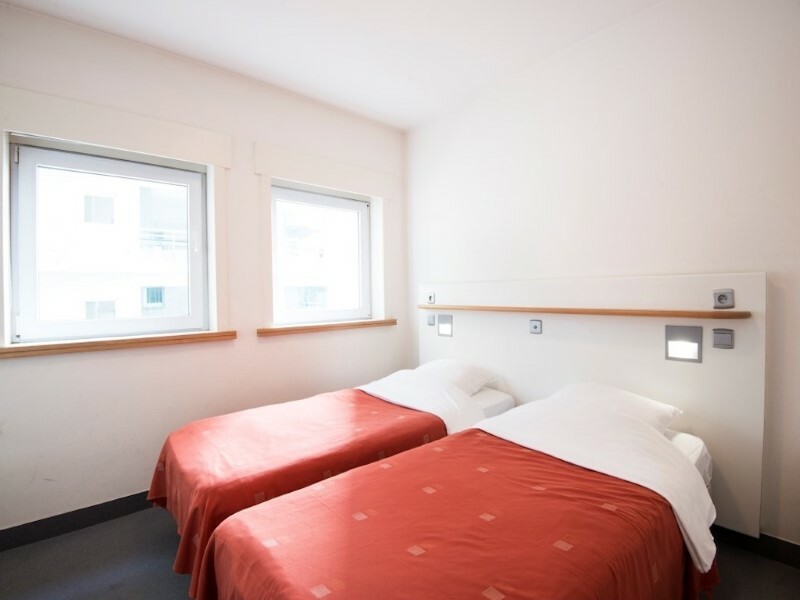 Our apartments have one bedroom with two comfortable beds, and a sleeping area with 2 separate beds. The foldaway bed or sofa bed gives you additional sleeping space. 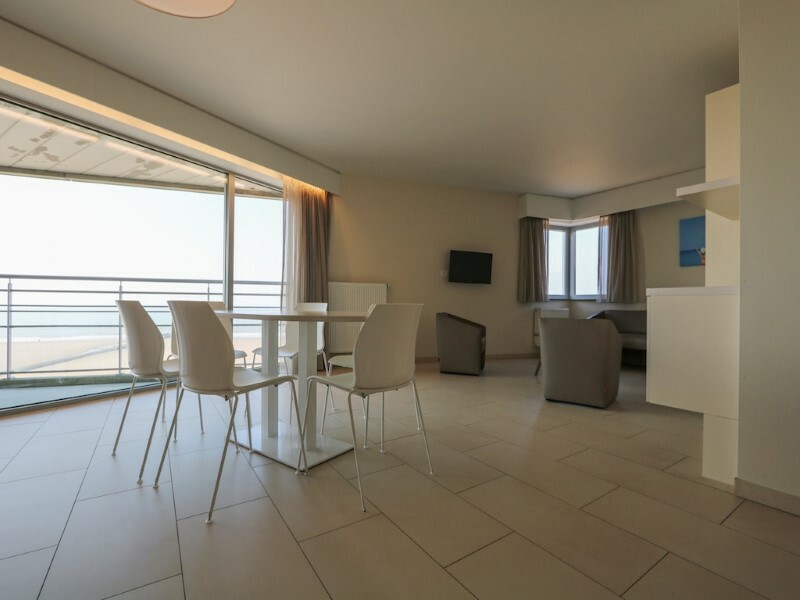 Our apartments have everything to make you feel at home at the seaside: a living room with flatscreen TV, a practical kitchen with an oven, hobs, coffee machine and fridge and a separate bath room with a shower or a bath tub. 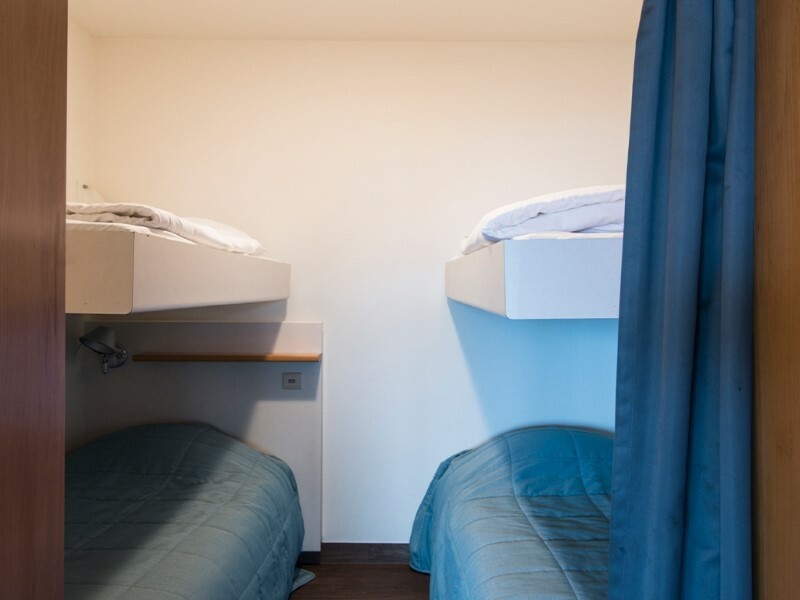 Our apartments have two bedrooms with comfortable beds or a bunk bed. The foldaway bed or sofa bed provides additional sleeping space. 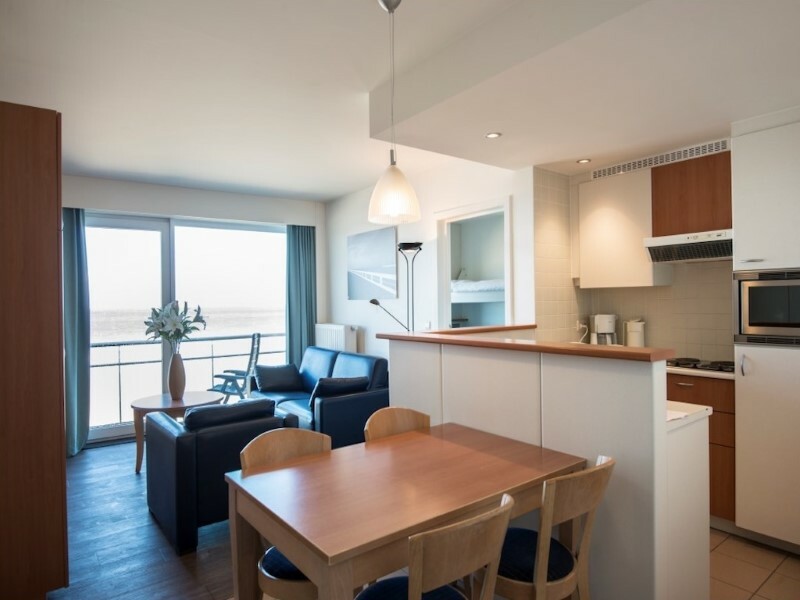 Our apartments have everything to make you feel at home at the seaside: a living room with flatscreen TV, a practical kitchen with an oven, hobs, coffee machine and fridge and a separate bath room with a shower or a bath tub. 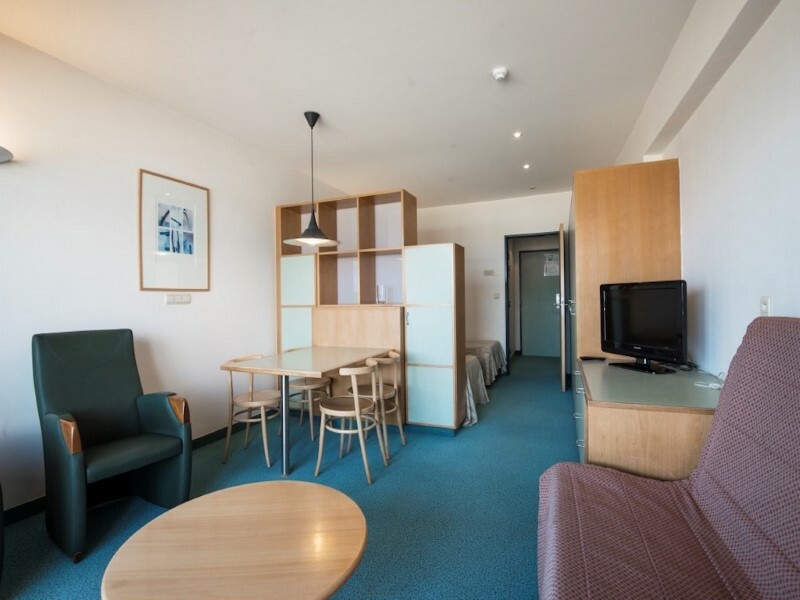 Our apartments have two bedrooms with comfortable beds. The foldaway bed or sofa bed provides additional sleeping space. 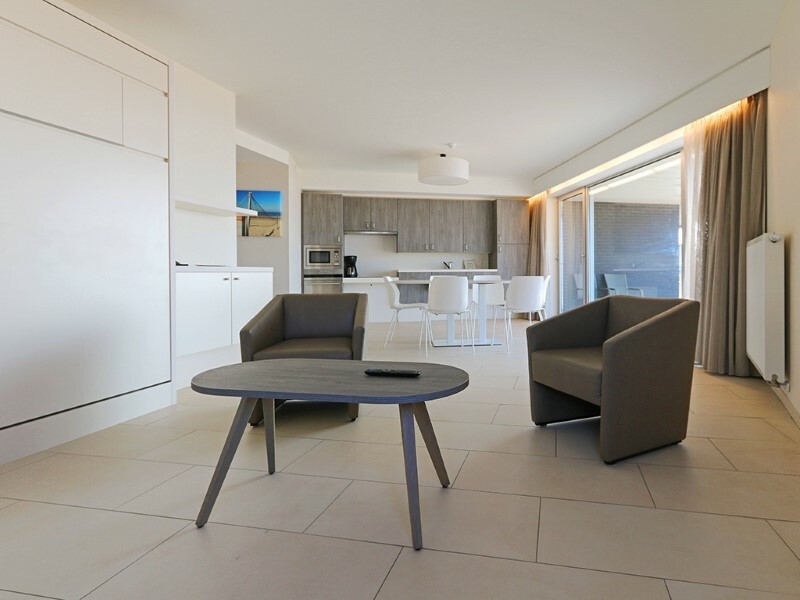 Our apartments have everything to make you feel at home at the seaside: a living room with flatscreen TV, a practical kitchen with an oven, hobs, coffee machine and fridge and a separate bath room with a shower or a bath tub. 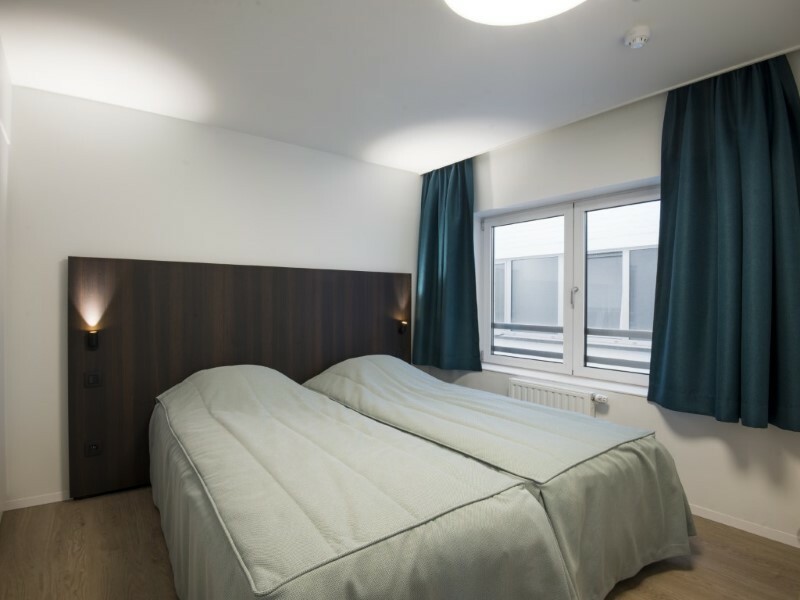 Our apartments have one bedroom with 2 or 3 comfortable beds. The foldaway bed or sofa bed gives you additional sleeping space. 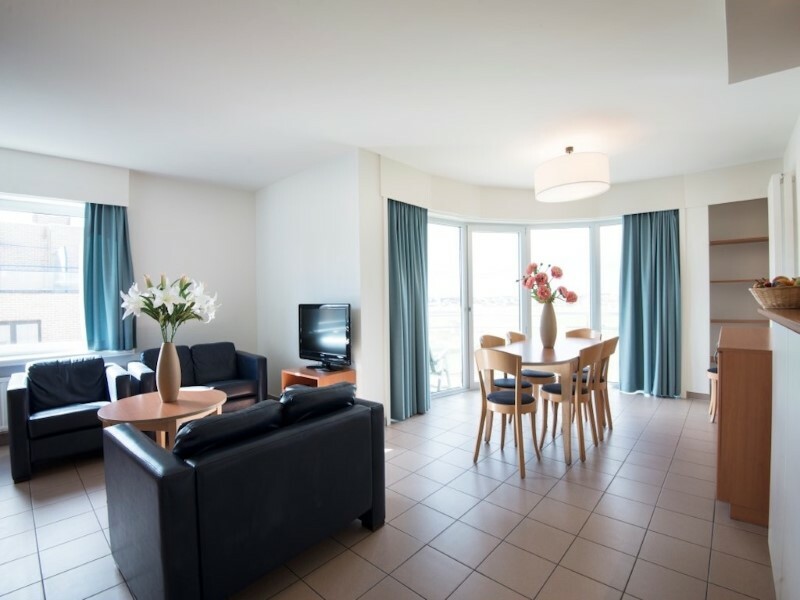 Our apartments offer everything you need to feel at home by the sea: a living room with television, a practical kitchen with oven, stove, coffee maker and fridge and a separate bathroom with shower. 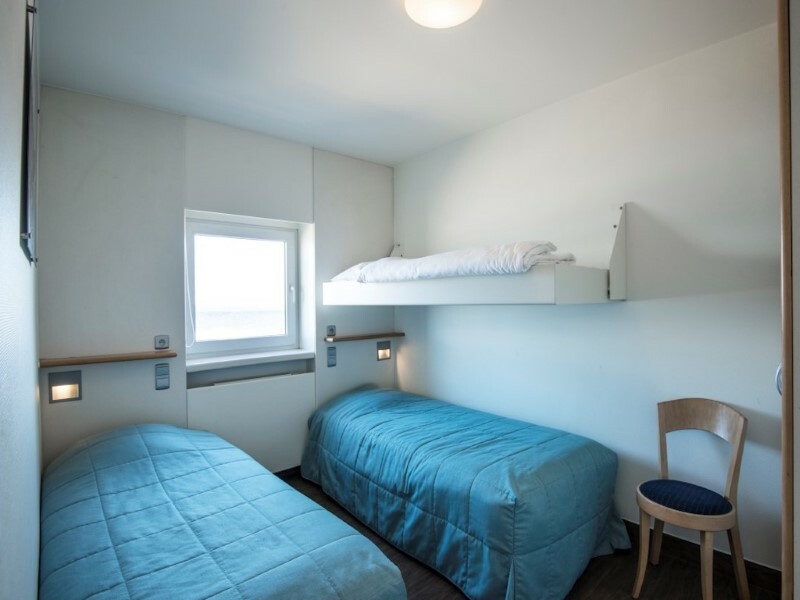 The apartments up to 7 people have two bedrooms with comfortable beds or bunk beds. The fold-down bed or the sofa bed provides additional sleeping accommodation. Hungry? Our chefs conjure up the most delicious dishes on your plate. The sustainable products we work with, reduce your ecological footprint. As a result you are helping the world to become a little bit better! Sun or less sun: there is always an experience waiting for you. 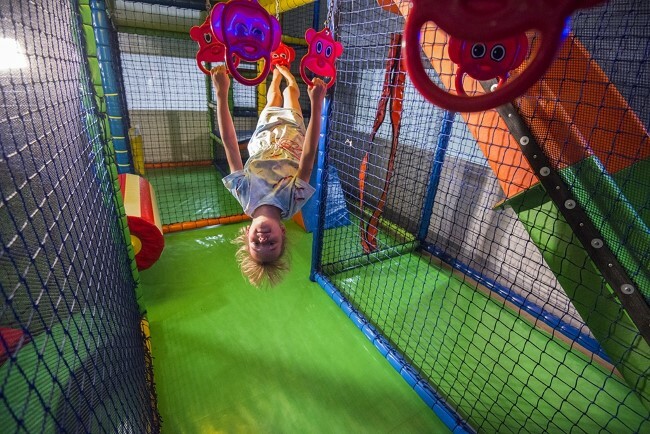 Our animation team organizes interesting trips, fun beach games and cool activities to give both the little ones and the adults an unforgettable and sporting holiday. The animation team of Vayamundo Oostende is ready for you every day to offer you a versatile program. 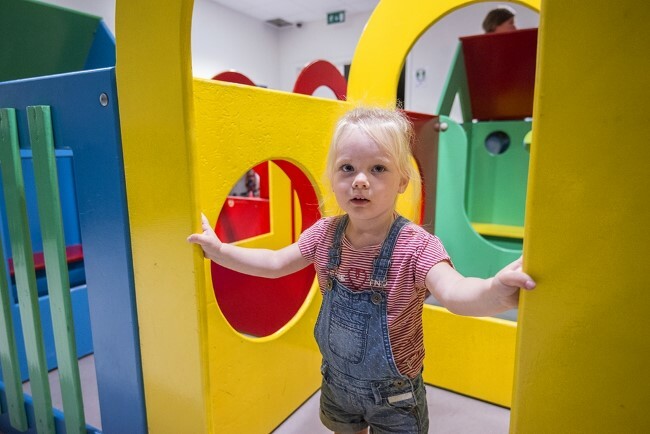 Children can tinker, paint and cluck in the Crea studio. 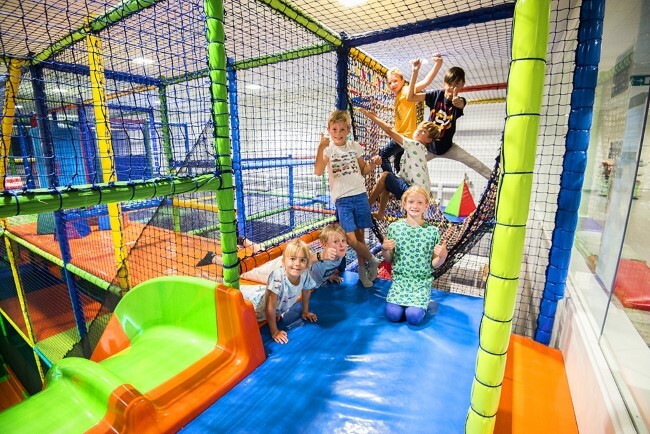 Also in the evening it is fun for young and old with, among others, Clown Rocky, Papa Chico, the children's disco, cinema Vayamundo, the live performances and the bingo nights for the benefit of our social goals. The desire for holidays is already a part of the fun: view the animated calendar below for your stay period. Amaze everyone with one well-aimed shot! A range of indoor options make Vayamundo Oostende a real sports club. The vast beach on the North Sea coast is the perfect sports field for combining movement and nature and lovers of the explosive Latin vibes can indulge during the Zumba classes with Raquel! 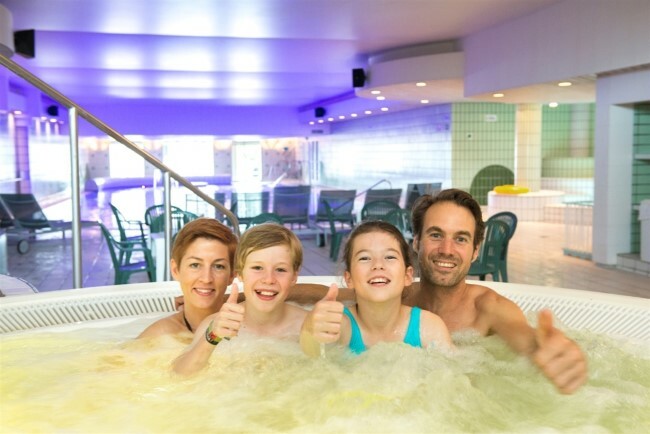 In Vayamundo Ostend you get the opportunity to stay fit and healthy. 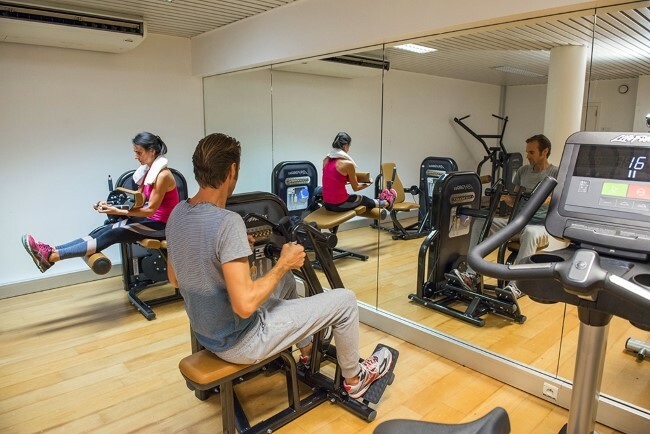 In our fitness room you are completely in shape again thanks to our brand new devices. Walk a few kilometers on the tire or you can measure the rowing machine with Jelle Veyt. Free for all residents. 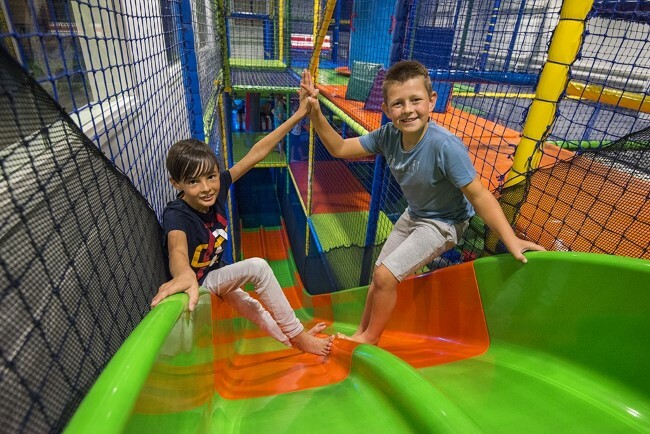 Small and larger children enjoy themselves amidst our giant size indoor play village. 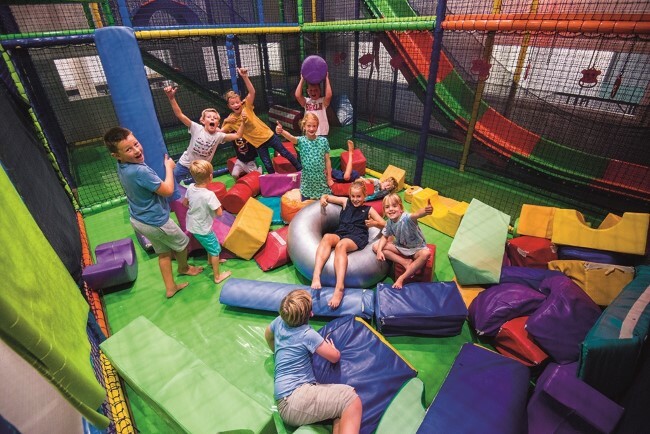 After a lovely swim, it's time to sacrifice the last bit of energy in the beautiful and safe tangle of tunnels and slides. An afternoon chatting with friends or a birthday party? Vayamundo is enough for everyone! 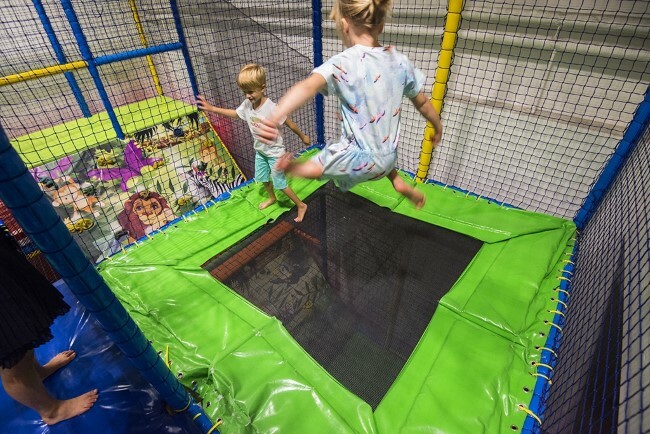 The climbing village is open daily from 9 am to 8 pm. 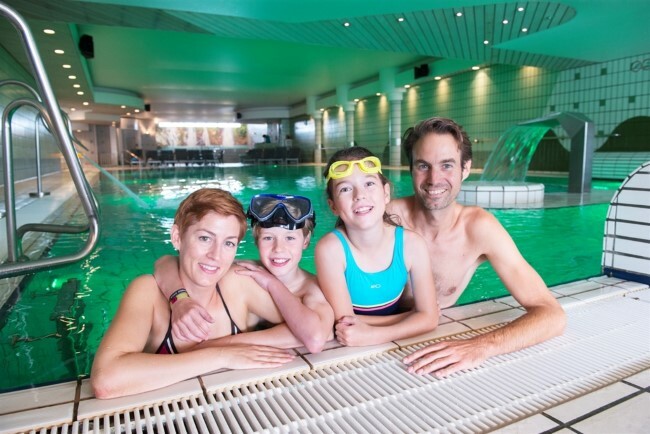 Pure swimming fun: while the kids splash and play, the parents pull laps in the big bath or relax in the whirlpools. 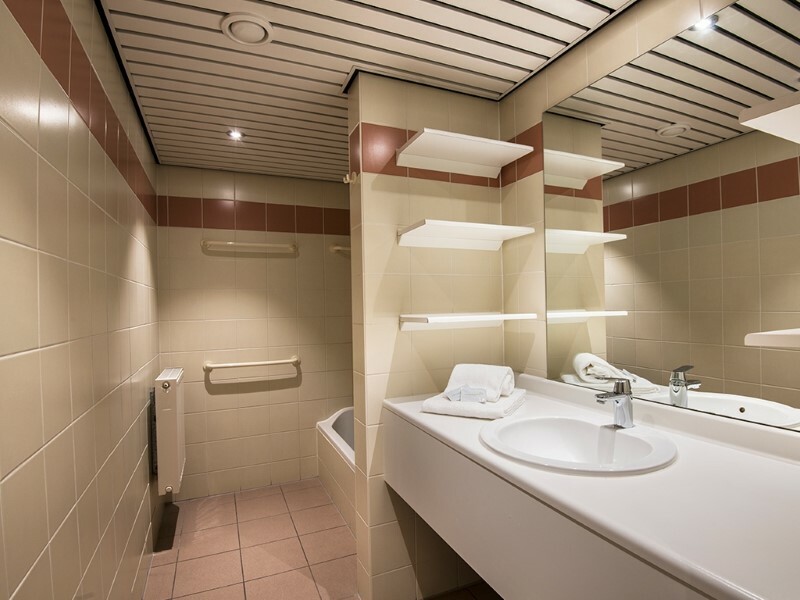 In the wellness area you can relax even more, while sweating out all your stress. Relaxing at the edge of the pool: is not that the definition of vacation? You do not have to worry about the children: they have super water-fun in the children's pool. 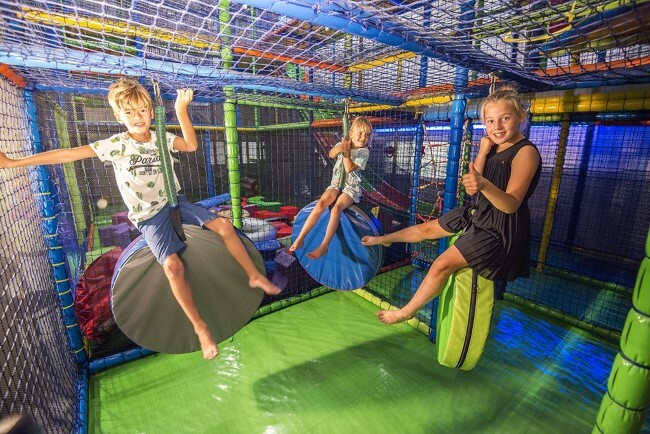 Do you want to move your legs and arms in a fun way? Then take part in the aquagym lessons that we organize regularly. 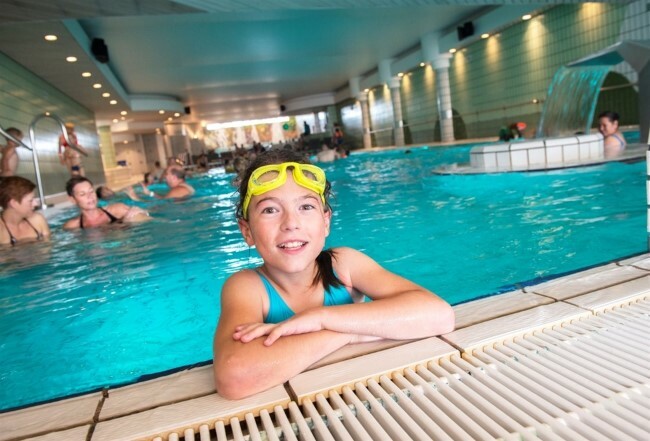 The locker rooms are located near the swimming pool, do not forget to provide € 0.50 for the locker rooms. 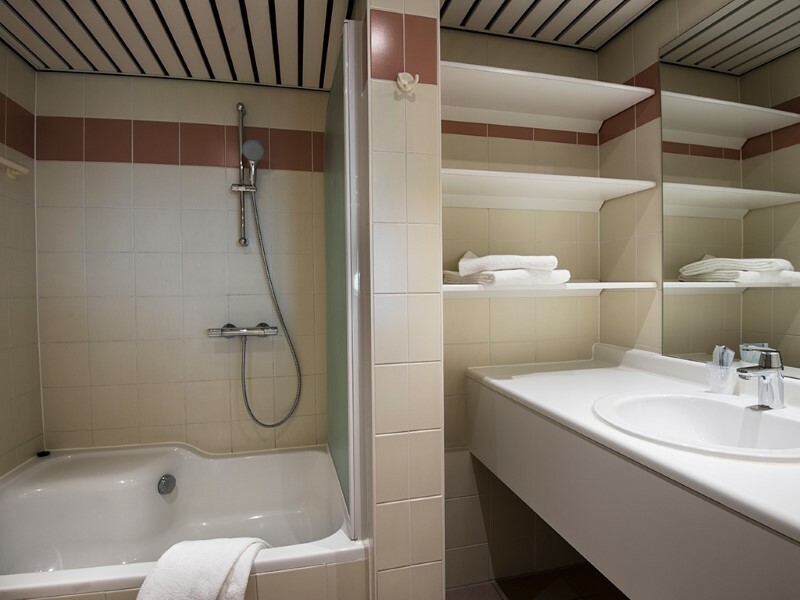 Let all your worries flow away in our wellness center, where both your body and your mind can fully relax. 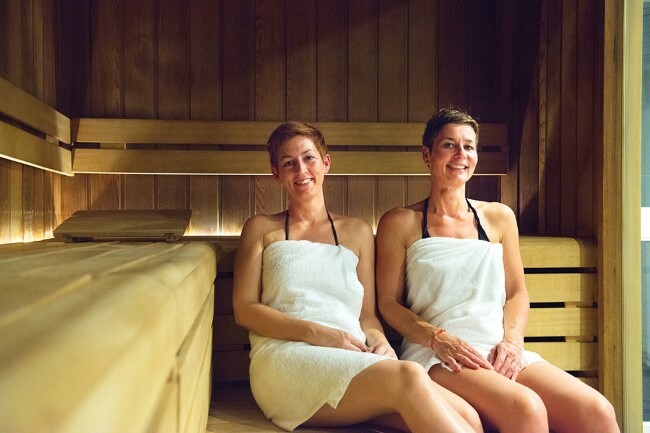 Finnish saunas at 80 ° and at 90 ° C, a wet and a dry sauna, a steam cabin, infrared heaters ... 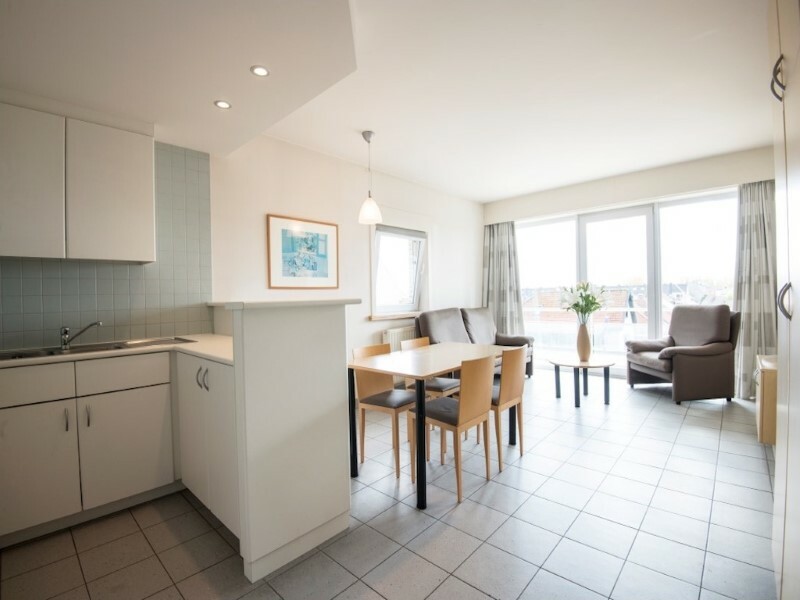 In Vayamundo Ostend every wellness enthusiast will find his cup of tea. 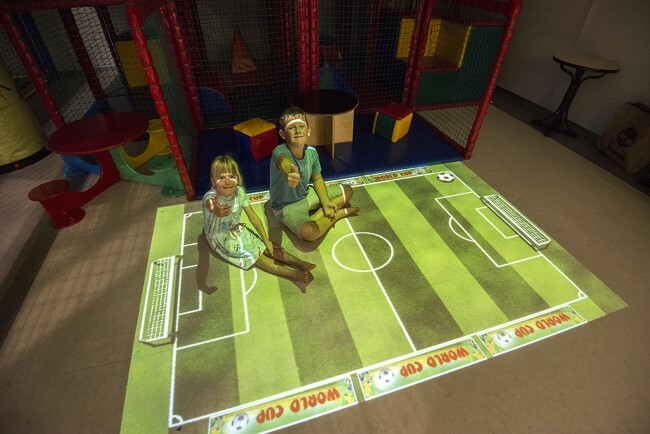 Finding a suitable location for an inspiring business meeting? Organize that much-needed teambuilding for the colleagues? We take all your work off your hands and ensure a seamless flow of your business event. 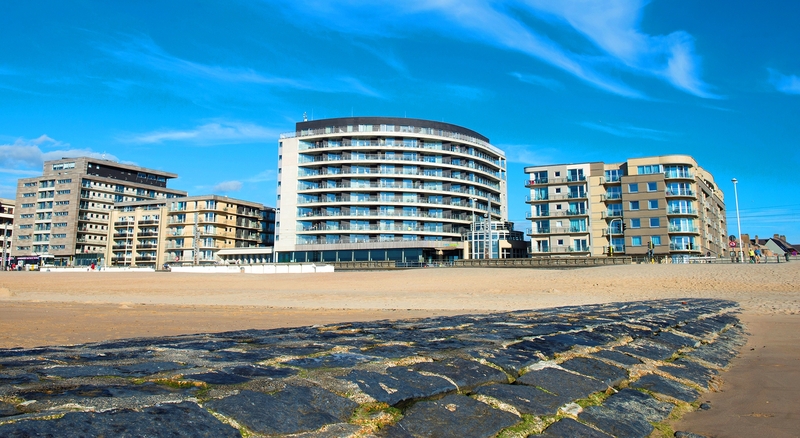 Did you know that Vayamundo Oostende is not only a holiday club but also the largest congress and meeting center on the Belgian Sea Dike? 14 meeting rooms for 10 to 200 people, a conference room that can accommodate 300 people, 2 buffet restaurants and 2 cozy bars with sea view. 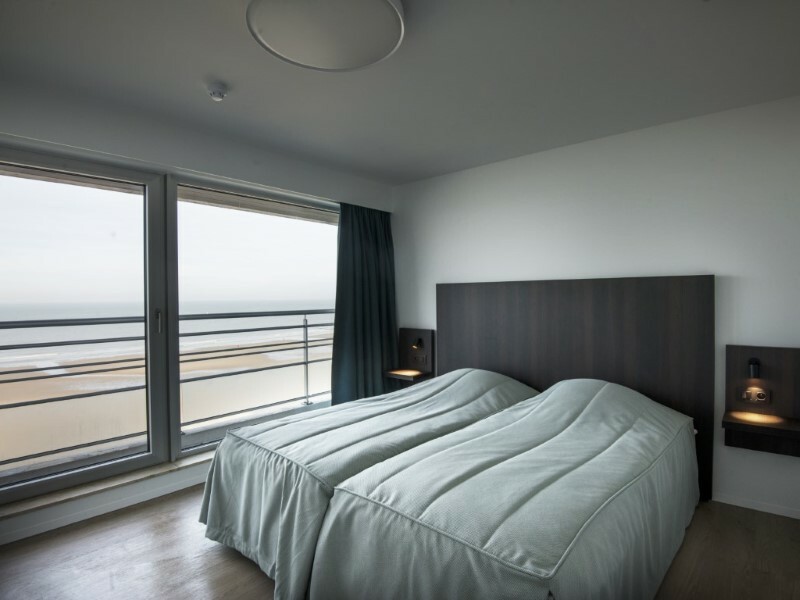 400 rooms and apartments, a swimming pool with jacuzzi, sauna, gym and ... the North Sea. Nothing more fun than stepping out with the whole group of friends or association! 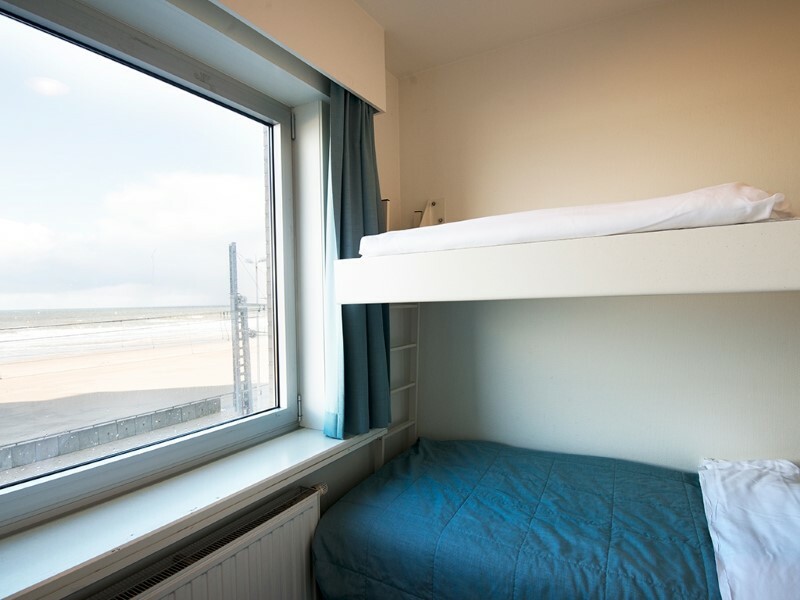 A wonderful weekend or midweek at the Belgian coast: Vayamundo will create a tailor-made holiday for you! 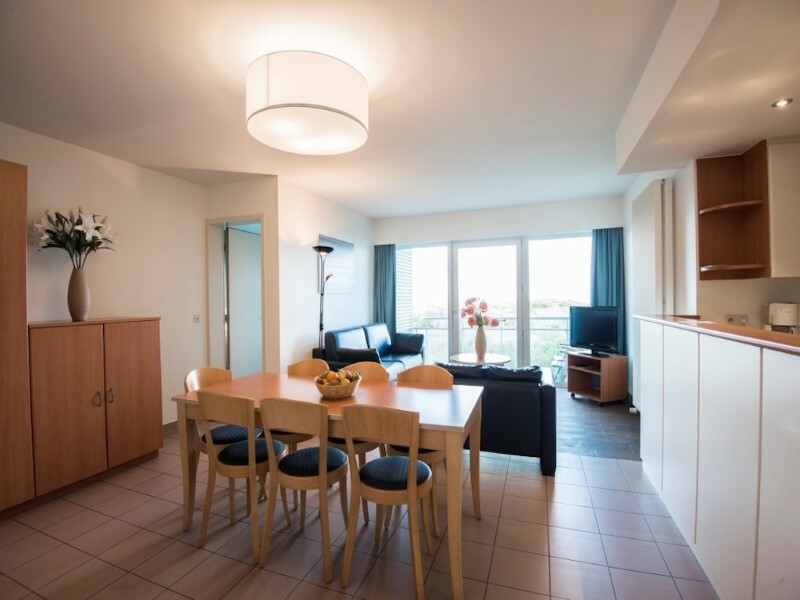 With your association or company to Vayamundo Oostende on the Belgian coast! It will only be fun if you can go on holiday together. At the ladies of the group reservations service you can go for a tailor-made formula for your association. Fill in our contact form here and meet our 2 sympathetic employees Ilona and Riet. Ostend is alive! Admire works of art from Belgian soil in Mu.Zee and catch a glimpse of Ensor's world in the bustling city center. A visit to the nearby cities of Bruges and Ghent is also more than worth it. has an overview with all events and to-do's in our seaside town.